SPRING VALLEY, MN – July 19, 2012: (Photo Courtsey of Buck Monson Photo) The WISSOTA Super Stocks are set to show the world what they can do as they hit the high banks of Deer Creek Speedway for the World Modified Dirt Track Championship. This is the first time in the short history of the event that a class, other than the modifieds, has competed at the event. Not only does the WMDTC now pay $25,000 to win but the fans will get more bang for their buck as two other classes are scheduled to compete as well. Also as a reminder there is NO entry fee in the Super Stock division for this event. Each night will also feature an added bonus of $100 to the hard charger in each A-Main event. Individual night tickets are now available to purchase online or by calling 1-877-DCS-Race. Tuesday, July 24: Pit area parking for haulers will open. The pit gate will open at 6:00 p.m. and will remain open until 10:00 p.m.
Post-Race: Karaoke in the tent in the pits. Post-Race: The band Fishdo will play in the tent. 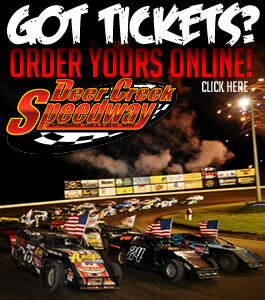 For additional information visit us online at www.deercreekspeedway.com or check us out on Facebook. 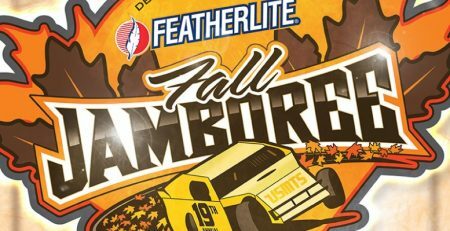 Jam The Stands – Field To Fuel – FREE ADMISSION!